Why advertise online using PPC campaigns? Get instant website traffic and access to millions of leads in a matter of minutes. Engage customers searching for your products or services online, and we will make sure that your ads appear across multiple search engines including Google, Bing and Yahoo at the top of the page. Stop cold calling and start working with the "warm" leads that call you. Win against competitors you never thought was possible. Eat your competitors' lunch with no remorse. Most online pay-per-click advertising campaigns are poorly managed, if at all. When you advertise with us, you are taking the unknown out of the equation. Win every lead and every deal, and grow your business, fast. Best of all, if you are looking to partner long-term, we will waive the management fees, guaranteed. If you own a business, you know how hard it has become to complete online, especially when you run a medical office, medical spa or a director of a non-profit organization. In today's economic climate, you need to advertise online to remain competitive and relevant. Not able to reach your goals on Facebook? It's because your posts are only seen by a few people as Facebook and Google compete to dominate the online advertising market. Even when your website is well optimized, and you don't advertise, your competitor's ads will appear above your search results. It means that they now have a competitive advantage and the ability to attract your customers and prospects. Considering that almost everyone searches products and services online if you don't advertise, your competitors will eat your lunch. ​Allow us to demonstrate how to display your social posts to the highly targeted audience and reach hundreds or even thousands of prospects in Toronto and GTA and across Canada and the US. Disclaimer: All trademarks mentioned on this page are the property of their respective owners. Reputation Mart is not affiliated, and does not endorse products or services provided by third-parties. ​Without experimenting, no one can give you a definitive answer or any guarantees. 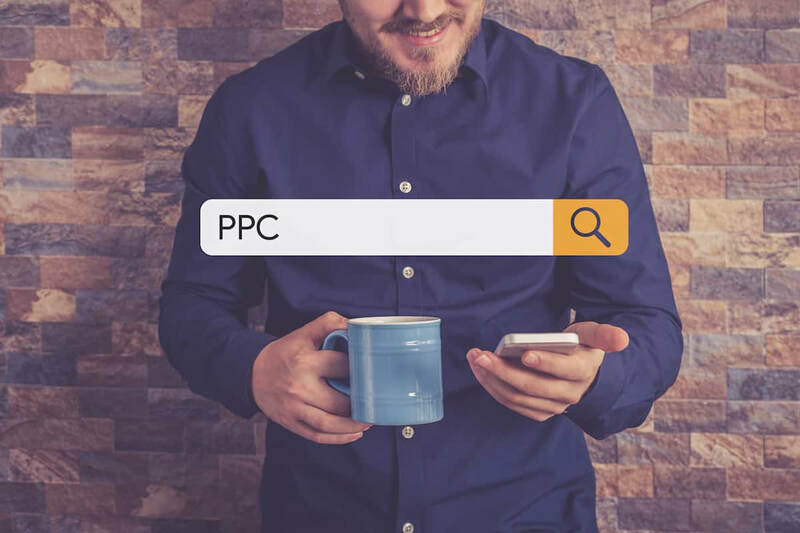 Out advantage however is that we are managing a vast PPC portfolio and therefore have experience in multiple industries and verticals, meaning that most likely, we know which PPC strategies work for your industry. We are well connected within the industry, including pay-per-click campaign professionals at Google, Bing, LinkedIn and others. We have the necessary knowledge and expertise to deliver answers before you spend a penny. Remember, what works today, may not work tomorrow. Since knowledge and consistency are key, connect with us and we will help you setup the winning campaign. When we type our company name in Google, we see competitor's ads at the top of the page. What can we do? While in most cases you can't stop your competitors from running ads that are triggered by your brand name as a keyword, you can and need to fight back with a brand centric ad campaign. You may want to try and run your very own campaign, displaying ads triggered by your competitor's brand as a keyword. We've helped many organizations building and managing such campaigns, and we are confident that we will be able to help you. You mentioned that you don't charge management fees for PPC campaigns? How is that possible? Yes, we don't charge management fees to manage pay-per-click campaigns, in most cases. Please connect with us and we will provide you with the detailed explanation concerning all available options. Are you limited to Google AdWords or could you also help with the Facebook ads? ​We don't favour any particular advertising platform. While the majority of businesses advertise on Google and Facebook, we have managed successful campaigns on LinkedIn as well. Our team of experts is proficient in managing pay-per-click advertising campaigns on the following online advertising platforms: Google, Facebook, Bing/Yahoo, Twitter, and LinkedIn. How do you make sure that we don't overspend due to campaign error? ​All campaigns are monitored in near real-time using proprietary monitoring and change management methodology. Every change is tested to protect your investment. At times, we are making changes to the online campaigns several times a day to ensure that you get nothing but net benefit from advertising your products or services online. Every click and conversions including phone calls and form submissions that are reviewed and reconciled daily.